Mole Day, observed annually on October 23 from 6:02 a.m. to 6:02 p.m., commemorates Avogadro’s number (6.02 x 1023), a basic measuring unit in chemistry. 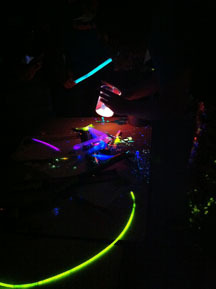 This unofficial international holiday in the field of chemistry is not taken lightly by Preston High School’s ChemClub. As it has done in past years, the Preston High School (PHS) ChemClub sought to make sure the entire student body was informed about Mole Day and its significance. To prepare for Mole Day 2013, the PHS ChemClub posted Mole Day facts around the school, decorated the ChemClub bulletin board, and even hung up a countdown that showed how many days were left until Mole Day. 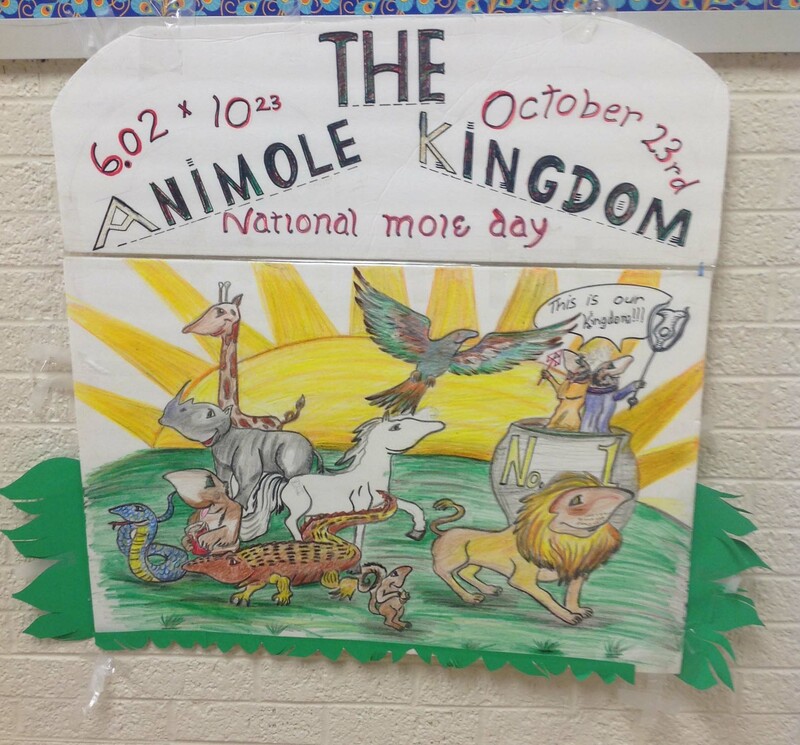 The PHS ChemClub used the National Mole Day Foundation‘s selected theme for Mole Day 2013—The Animole Kingdom. Balloons with the Animole Kingdom theme printed on them were purchased and hung up, and a very creative member of the ChemClub created a large poster depicting the Animole Kingdom. Did you know that one mole of cents could repay the national debt of the United States 86 million times? Why did Avogadro stop going to the chiropractor on October 24th? He was only tense to the 23rd! To conclude the assembly, the video “Happy Mole Day to You” was shown. 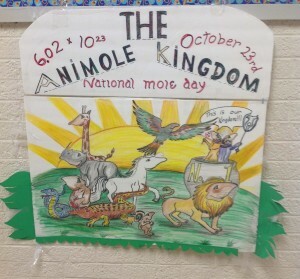 Students and teachers were very impressed with this year’s Mole Day assembly and continue to talk about it. Thanks to the ChemClub, Mole Day 2013 at Preston High School was a success!